What isn’t as recognized is that women misunderstand marriage just as much. Many people wrongly believe women are born with an innate understanding of marriage, while men are deeply confused. 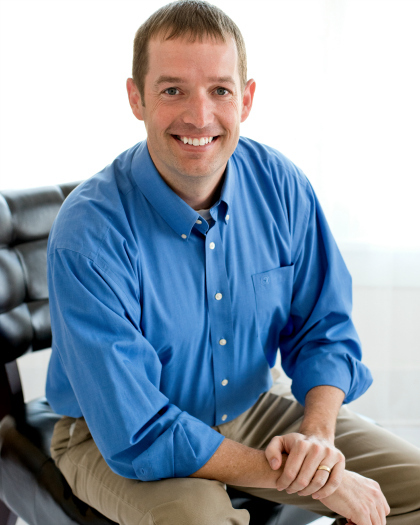 The truth is that both men and women struggle to have a true view of a healthy marriage. Generally, women are better at marriage. Most (notice, not all) marriages which fail, do so because men are not willing to play the role they should. Yet, women have lessons they need to learn as well. Marriage is not easy, but it is nearly impossible whenever we fail to understand the truth. 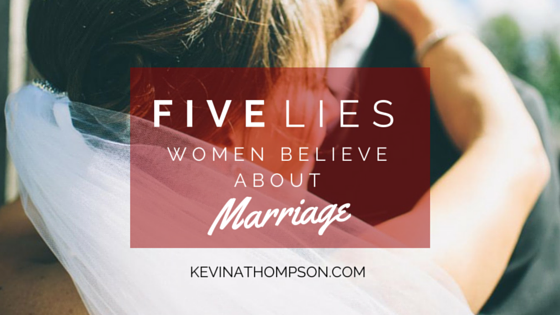 These five lies commonly lead women astray when it comes to marriage. If women would replace these lies with the truth, they would have a better chance of experiencing the benefits of a healthy marriage. I simply love your way of looking at marriage and wish I could be on your mailing list but it went away somehow. Know you just helped our marriage today as I have not been humble but harsh and my past has caused such a lack of trust, but being able to admit my wrongs may heal my mistakes and my intent on giving more to healing instead of hurting my husband I thank you for this simple wisdom. God bless your heart as this is an answer to prayer for me! Thank you Glenda. I added you to my email list to receive my posts weekly. Hopefully that will help. I got married exactly 28 days before my 30th birthday, so perhaps being just a bit older when I wed means I’m not part of your target audience. I do know some of these things to be true feelings for other women, but they never were for me… not any of the five. I was so incredibly blessed to have a father who took the time to teach me the differences between men and women. He taught me to speak EXACTLY what I mean and to not play games. I’ll never forget him saying, “Don’t ever tell a man you don’t want a Christmas present, because Christmas will come around and you’ll be mad that you don’t have any presents.” That being said, I was never naive enough to believe that love was a magic potion that would make my husband suddenly understand all my craziness. I feel like the first 4 of these points are aimed at really young, naive women who believe marriage is some sort of magical institution that sets everything right again, but they certainly do not apply to all women. Number 5, unfortunately, is a cross I think all women bear from time to time. And that’s when we need a good man to remind us of our worth. Just the other day I wept in front of my husband telling him I felt like a failure for not being able to find a better job. He scooped me up in his arms, kissed me, and took the time to tell me, in detail, all the reasons why I’m NOT a failure. Being fiercely loved by someone cures the #5-failure-blues in almost an instant!